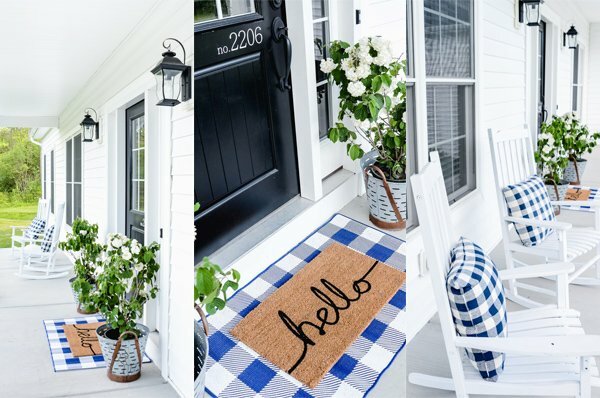 I love things to be cute, but I’ll admit I’m kind of impatient, and I don’t always have a lot of time, so my favorite ideas are the simple ones! 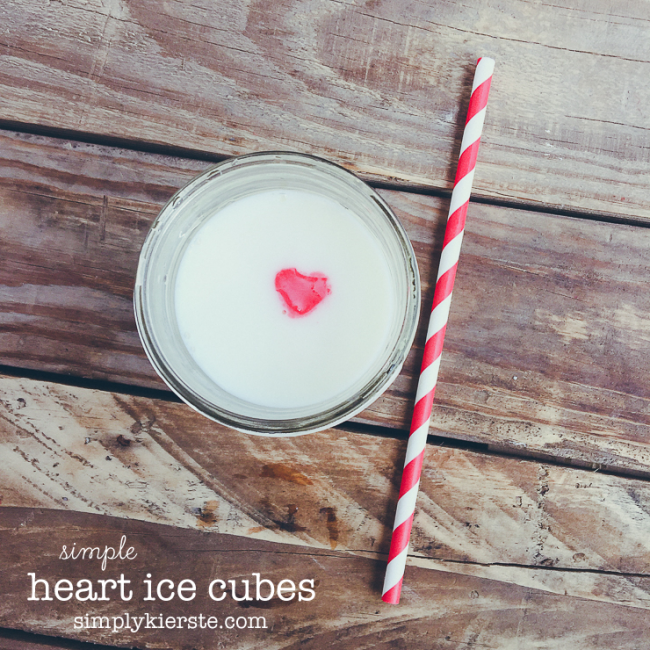 I absolutely adore these tiny red heart ice cubes, and they seriously take this glass of milk from boring to the cutest thing ever, and all it took was a minute or two of prep! Am I the only one who thinks anything tiny is even more adorable? These ice cubes would be darling for any special meal, including Valentine’s Day. (My fourth grader pointed out to me today that they’re technically not “ice” cubes, but calling them milk cubes didn’t sound quite right! :) ) When they melt, they turn the milk pink, so it keeps the whole theme going even after the ice cube has melted. I used this ice cube tray (affiliate link) I found on Amazon, and I love it! It’s silicone, really durable, and it’s a great size. I went for the mini hearts because I thought they would be more versatile, and how cute would a whole bunch of them be in glass, instead of just one? They also work for chocolate, so they can do double duty. 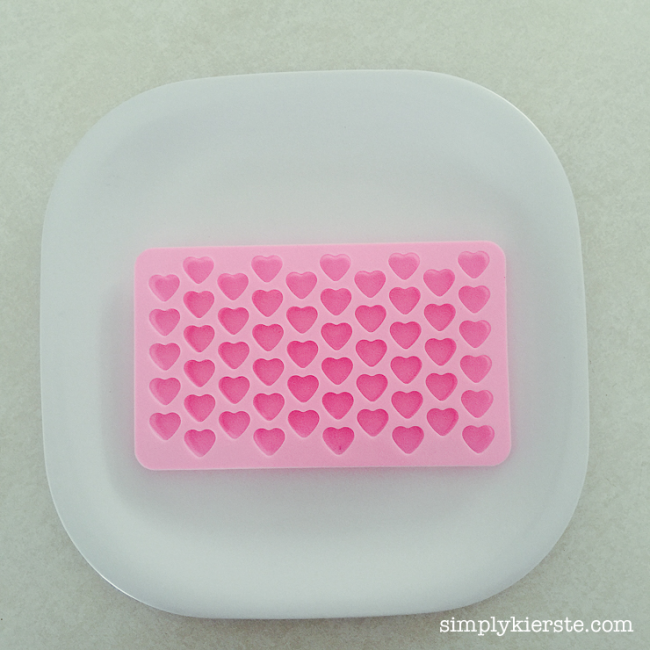 However, you can certainly use any heart ice cube tray you have or find! 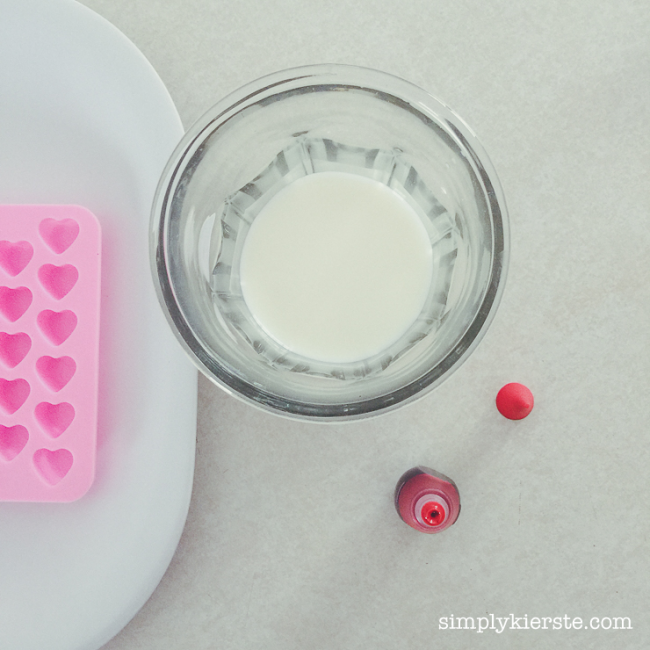 All you need is a glass of milk (it doesn’t take a lot for these mini hearts) and red food coloring. Add as many drops as you need to achieve the color you’re looking for. I added 10 drops to the amount of milk I had. Pour the milk into the tray very carefully (if you’re using a silicone tray, you’ll need a plate or something flat underneath it), then place in the freezer. The mini ones don’t take very long, which is another bonus! That’s it! You’re ready to serve! 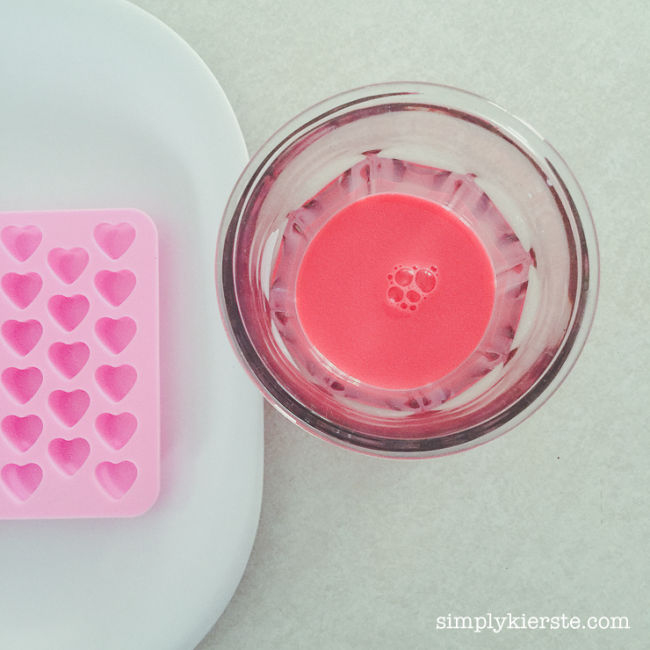 Super cute, super simple heart ice cubes!